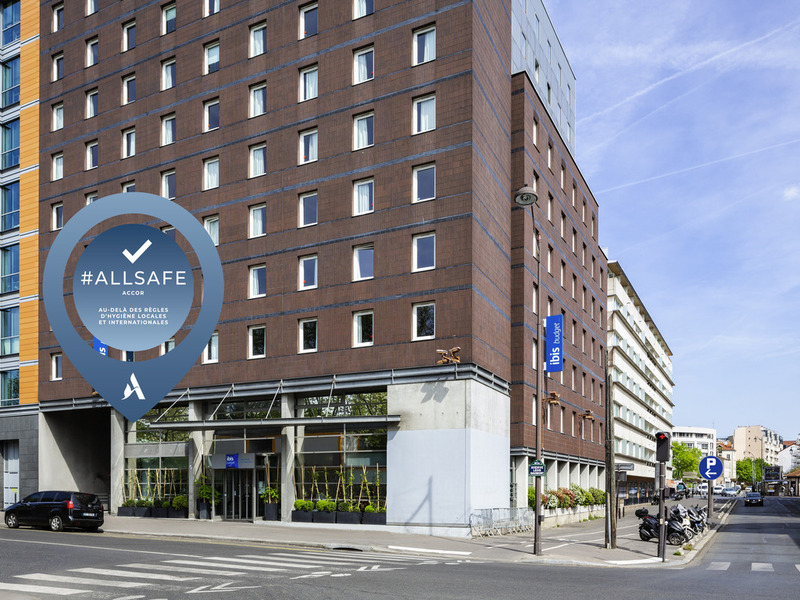 With its ideal location, the ibis budget Paris Porte de Vincennes hotel provides quick and easy access to most of the main attractions in Paris by metro line 1 from St Mandé station. It is near the Château de Vincennes, Vincennes Zoo, Accorhotels Arena and the lively districts of Bastille and Les Halles. The main highways connect to Roissy and Orly airports, Disneyland and Astérix theme parks and Versailles and Villepinte exhibition centers. Direct access to the Gare de Lyon. This hotel was ideally located—close to the Metro line 1 for easy access to the airport/various sites, but still quiet and a bit more like a neighborhood. The value for the hotel is good. The staff was friendly and helpful and I would stay here again. My only wish is that they switch from plastic/disposable cutlery and bowls at the hotel cafe. Madame B., Nous vous remercions d'avoir pris le temps de partager votre avis. Nous espérons vous revoir très bientôt! Veuillez agréer, Madame, nos salutations distinguées. Excellent 7 night stay at IBIS in Paris, France! Fast check in, great view from room, very clean room, excellent personnel at front desk to always ask for directions, very close to a main metro & grocery store and bars and restaurants. Microwave in lobby to heat up some food or sandwiches from the grocery store. What else can one ask for! Monsieur, Nous vous remercions d’avoir pris le temps de nous écrire à la suite de votre séjour. Sauf erreur, vous n'avez manifesté aucune insatisfaction sur place, en cours de séjour car, dans ce cas, notre démarche qualité nous conduit à identifier le problème puis vous proposer une autre chambre sans délai. Une telle action n'a pu être envisagée par nos équipes faute d'information. Nous vous prions de croire, Monsieur, en l’expression de nos sentiments les meilleurs. Staff were friendly and helpful and the hotel is clean and well maintained. Exmo Senhor F., Agradecemos os seus comentários no seguimento da sua estada no ibis budget Paris Porte de Vincennes. Foi com prazer que recebemos as suas felicitações. Não deixaremos de partilhar os seus comentários com toda a equipa . A sua satisfação é a melhor recompensa para os nossos colaboradores que trabalham diáriamente para lhe prestar um serviço irrepreensível. Na expectativa de o acolher de novo, queira aceitar os nossos melhores cumprimentos. Budget accommodation at a good price. The Ibis Budget Hotel offers simple and very reasonably priced hotel rooms for the traveler. My room was spacious, clean and included everything I needed for my three days in Paris. Good sized room. Comfortable bed. Quiet. Convenient to the Metro line 1 for centre of Paris. Staff friendly and helpful. Plentiful breakfast. Thanks. Kind recommended! I am pleased. Good Value for money. About 5-7 min walk to Saint Mande metro on Line 1, due to this quick connectivity to almost all the major tourist sites in Paris. A supermarket, Indian restaurant and bakery, very close. Near the metro station everything else is available. Other than check in and check out there was no need to interact with the staff. However although room cleaned and beds made everyday, clean sheets were put and floor was cleaned every alternate day. We had the room with large double bed and bunkbed . Area is nice and quiet. Would recommend for budget travelers. Nice staff. Room a little worn but clean. The cleaning lady broke the charging cable of my phone and the hotel refused to reimburse me. Besides this, the staff is very unfriendly and unhelpful. I do not recommend this hotel after the very bad experience I had. The hotel seems very simple but it addressed to our needs. Staff is friendly and eager to help. Very close to the line 1 subway, which is super handy. Good hotel but the foodtruck was quite noisy in the courtyard. Music and people talking until late at night. Nice hotel, good value for money. Family stayed 2 nights - The hotel was not clean. Had to change rooms. Parking is far away from the hotel. Facing the motorway. Area around was ok and access to Metro was very easy. Hotel not to be repeated.